Hardworking Nebraska farmer loves his Rubadub Tub® and decided an indoor installation would be best for him to warm up after a long day. He added his own curved decking for seating around the perimeter of his tub. 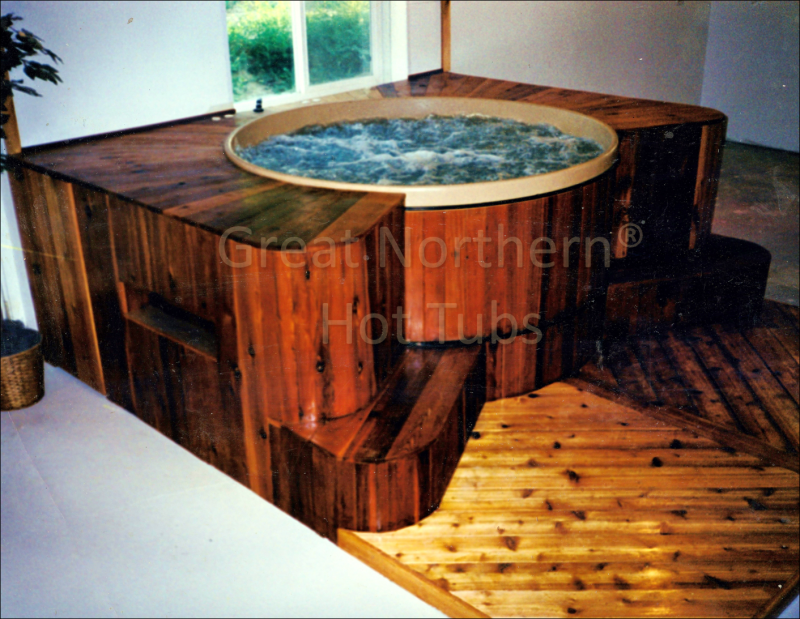 He considers his Great Northern® Hot Tub to be one of the best purchases he's ever made, his tub has been used regularly since October 2000.